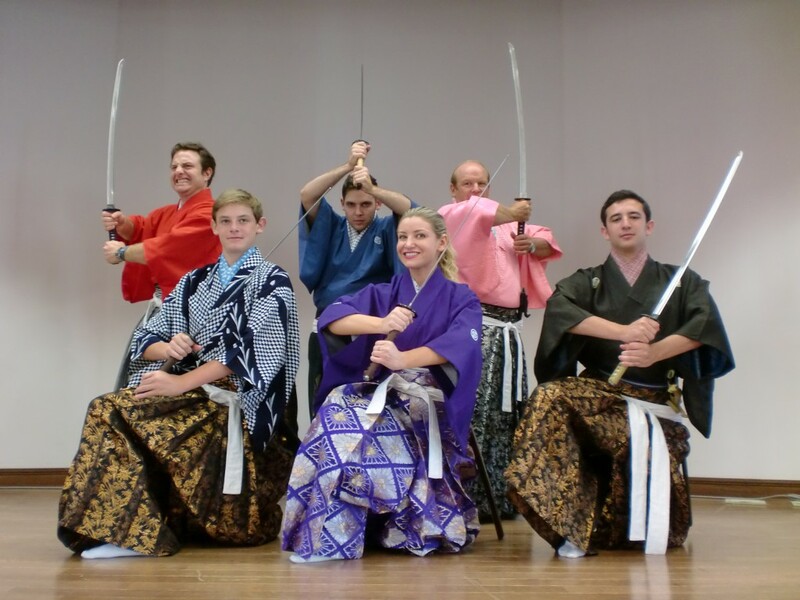 Our National Licensed Guide will pick you up at your hotel or your designated place and take you to the venue to see a Samurai Kembu Sword Dance. Note: A transit time from your meeting place to the venue is not included in the time shown here. In Japan, there are many traditional arts, such as the tea ceremony, the flower arrangement, the Noh play, and etc. These traditional arts show the Japanese people's sense and way of thinking. 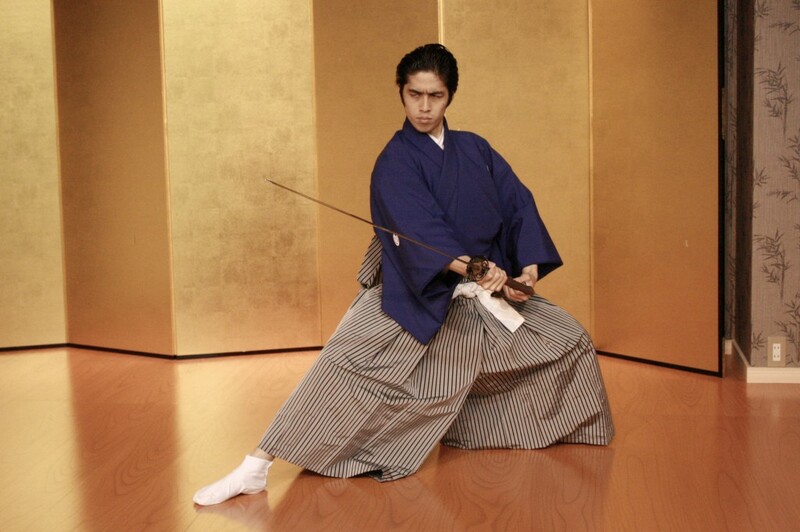 The Samurai Kembu Sword Dance is also one of these traditional arts of Japan. It depicts the culture of the samurai. After the show, you can take pictures with the masters. Daytime Show: Available on Mon. Wed. Fri. (doors open 13:00) 13:15-14:15. Evening Show: Available from Mon. through Sat. (doors open 17:00)17:15-18:15. *Above prices are for max. 10 people. 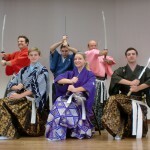 If you are more than 10 people, please contact us at truejapan@ijcee.com for our price and availability. • Pick up service by National Licensed Guides. • Samurai Kembu Sword Dance show fee. • Public transportation fare from your hotel to the venue. *The applicable hotels for pick up are limited to the hotels between Higashi-oji-dori and Nishi-oji-dori (to the east and west) and Imadegawa-dori and Jujo-dori (to the north and south). *If you wish to hire taxi service, you have to pay the actual cost separately. Food and drinks, shopping expenses and etc. ◆Please advise us if you have any religious or health restrictions,allergies, or the case where you would like to request a special care for participants, including children. ◆Above prices are for max. 10 people. If you are more than 10 people, please contact us for our price and availability. Please email us at info@truejapantours.com to check an availability and share the information. ◆This program is offered in English. ◆Our business hours are from 9:00 am to 6:00 pm on weekdays. When you request, please give us at least three preferred dates and times.